Technology That Elevates Your Business. Digital Solutions for Brand Activation. Didn’t see a tagline that fits your needs? We’re happy to create a thoughtful, custom tagline – just for you. 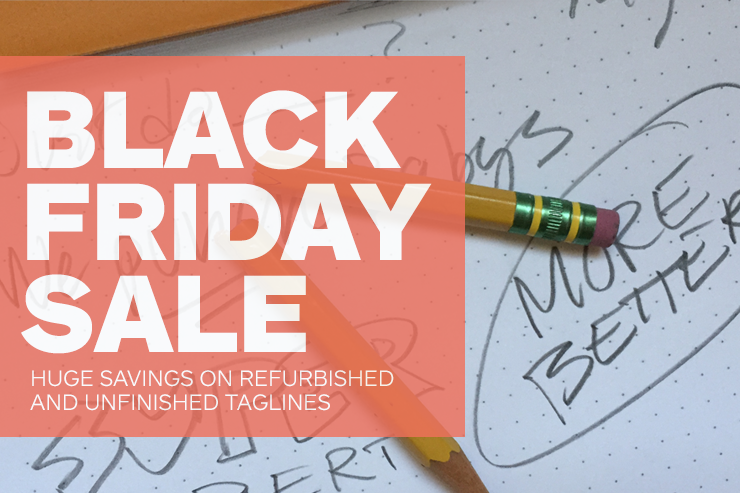 Our brand strategists are actually quite creative (when we’re not pulling Black Friday pranks). This entry was posted in Advertising, Branding, Design, TG News and tagged . Bookmark the permalink.